My back yard garden got off to a slow start this year. So I was quite surprised this week when I spotted five jalapenos ready to be picked all at once. It may not sound like much, but gardening isn’t really my strong suit, so I’m lucky to get five jalapenos in one season, let alone all on the same day. 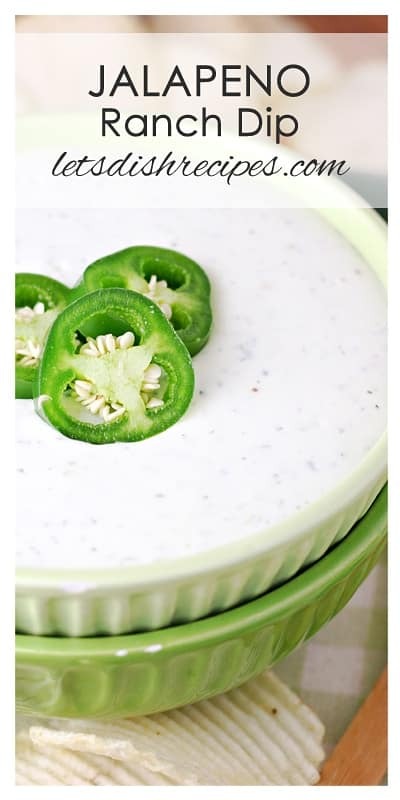 Needless to say, I needed to come up with a tasty way to use them, and this Creamy Jalapeno Ranch Dip was the answer! 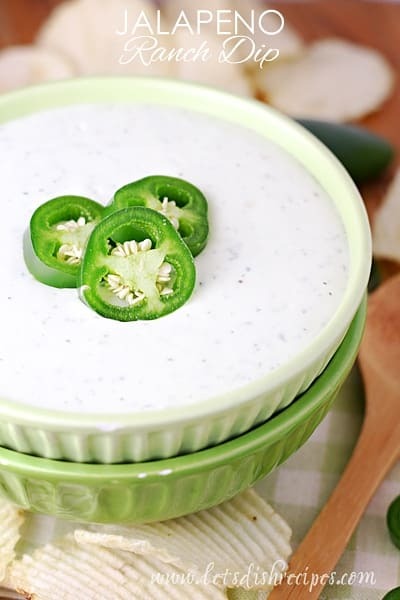 I left a few seeds and ribs in my jalapenos when I made this dip, and it was perfect for our family. We really loved it with the new Tostitos rolled tortilla chips (not a paid endorsement, it was just really, really good!). 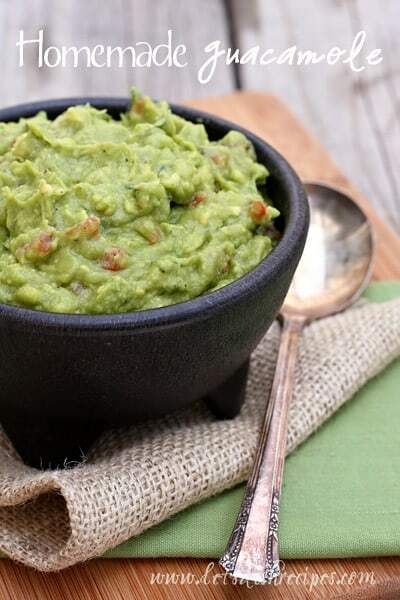 But it’s great with any kind of corn chips, as well as regular chips and veggies too. 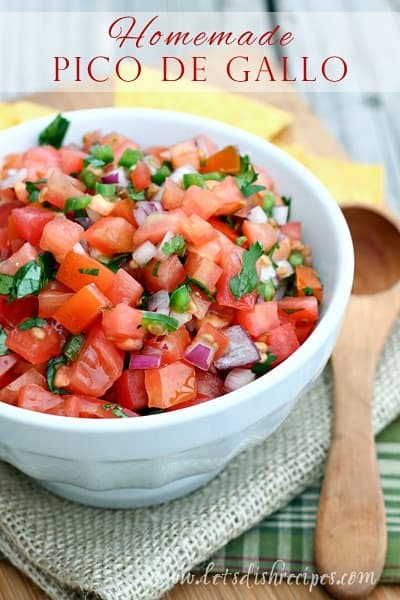 The creamy base is the perfect balance to the spiciness of the peppers, and the cilantro and ranch seasoning add great flavor. Place everything but the salt and pepper in the bowl of a food processor. Process until smooth. Season with salt and pepper, to taste. Refrigerate until serving. My family loves this stuff! It didn’t even last 24 hours at our house, and it’s a great way to use up a few extra jalapenos! 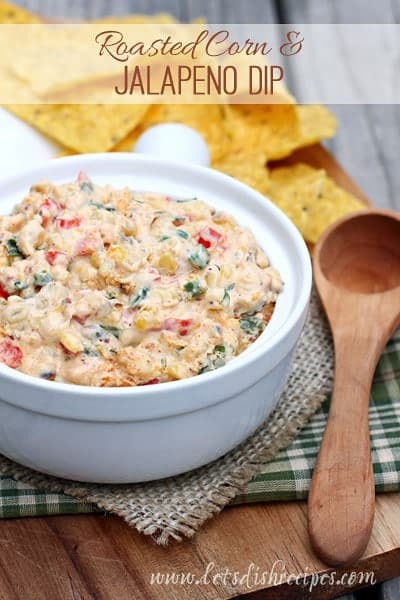 Be sure to save this spicy, creamy dip recipe to your favorite Pinterest board for later.